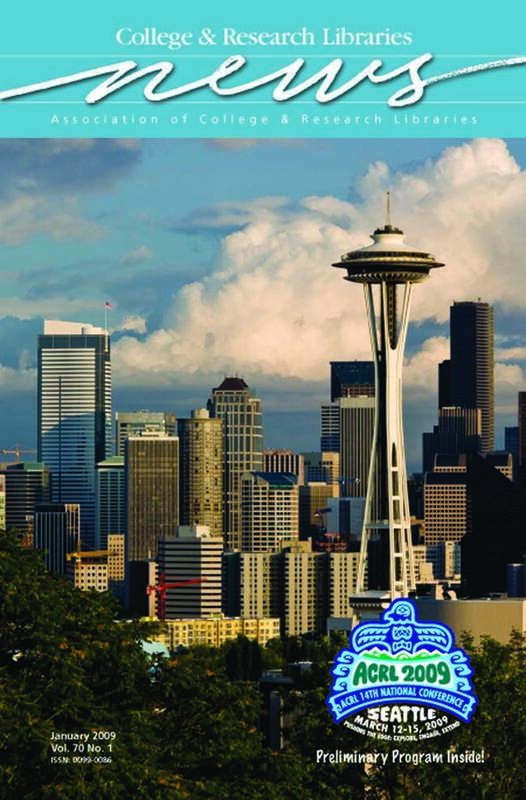 ACRL invites you to join us in Seattle, March 12–15, 2009, for our 14th National Conference, Pushing The Edge: Explore, Engage, Extend. The conference will challenge you to explore new ideas, engage in new learning, and extend the collective vision of the future of academic and research libraries. See the preliminary program included in this issue for complete details about the more than 250 peer-reviewed sessions specific to the needs of academic and research librarians and staff that will be offered at the conference, along with green conference initiatives, registration materials, and additional information. Make sure to add www.acrl.org/seattle to your bookmarks for complete conference details.